Have you ever wanted to cook, or bake, like one of your favorite chefs? Well good news, now you can. Our own Chef and owner Chris Collins is sharing one of his favorite dessert recipes, a delectable recipe for classic key lime pie. Here’s how you can make one of Chris’ signature dessert dishes at home. This recipe will yield enough filling for two 9-inch pies. Preheat oven to 350-degrees. Beat the eggs with a wire whisk and use a spatula to combine the eggs with the condensed milk until they are well mixed. Fold in the lime juice and the lime zest. Next, pour the mixture between the two pie crusts evenly. Place the pies in the oven for eight minutes. Rotate the pie pan, and cook the pie for an additional eight minutes, or until the key lime pie filling has firmed. Remove your pies, let them come to room temperature and then stick them in the refrigerator for a minimum of three hours before serving. Get creative with your pie toppings, we suggest a whipped cream and graham cracker crumbs, but you can add lime wedges, too. This graham cracker crust recipe will yield two 9-inch pie crusts. Preheat your oven to 325-degrees. Use a food processor to crush the graham crackers into a tiny pieces and then put them in a large bowl. Add your remaining dry ingredients and mix it up well. Use a fork to mix in the melted butter until all ingredients are wet. Lightly grease two 9-inch round pie pans. Next, add half of the mixture into both pans and firmly press to the bottom and the sides of the two pans. Be sure to use a flat surface to pack the graham mixture to the bottom, and use your fingers to press the mix to the side of the pans. Bake your two pie crusts for five minutes until they are lightly browned. Allow the crusts to completely cool before adding in your key lime pie filling. Still have a sweet tooth? 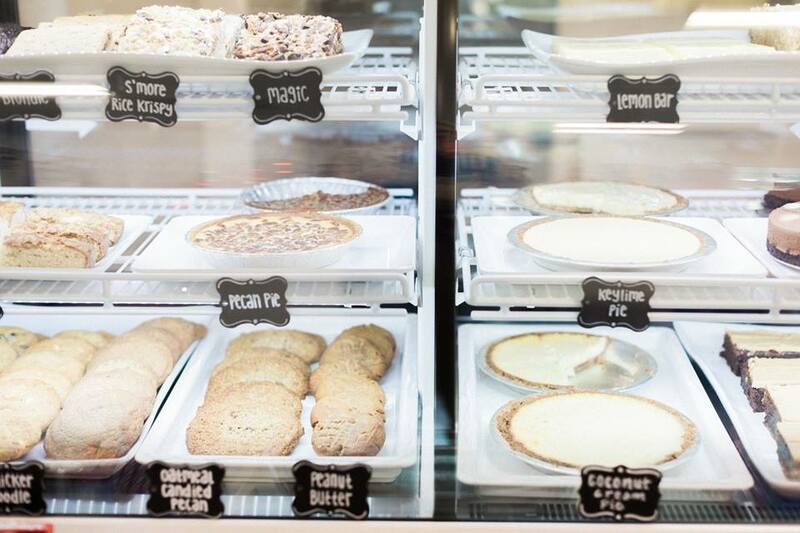 Make a stop at our sister sweet shop, Sweet Provisions, where you can find housemade pies, cookies, ice cream, treats, and more. At Wally’s we can appreciate a good brew. Whether it’s on draft, or bottled, we don’t discriminate. While we’ve never encountered a beer we didn’t like, we do have a few favorites. Here are five of them you can drink right now at our pub. With humble beginnings that go back to 1759 when Arthur Guinness signed a 9000-year lease on a dilapidated brewery at St. James Gate, there’s no doubt that this distinctively dark Irish stout is a classic pub staple. This smooth, creamy and perfectly-balanced beer is available on draft at our pub. Originating right here in The Valley, Four Peaks’ Kilt Lifter is the brewery’s award-winning flagship brew. Amber in color, the Scottish-style ale has pronounced flavors of caramels and roasted barley with a malty-sweetness, a touch of smokiness with a clean, dry finish. This summer sipper brewed by Bell’s Brewery in Michigan has made its way from the midwest to the southwest. Made with just four ingredients, Oberon mixes a spicy hop character with mildly fruity aromas. And its addition of wheat malt lends to a smooth mouth feel. Hailing from Longmont, Colorado, this pale ale packs a fist-full of flavor. Brewed by Oskar Blues Brewery, Dale's has a hoppy nose and flavors that include pale malts and citrusy floral hops. This gold-medal winning India pale ale has hints of peach, mango, apricot, and lemon flavors. Brewed by the San Diego-based Ballast Point, Sculpin features a lighter body that brings out the crispness of its hops. Raise a glass with us on National Beer Day, happening on April 7. Remember to tag us in your foodie photos and #NationalBeerDay posts. At Wally’s, we love a good food holiday, and we always think they are cause for celebration. And this month, there is one foodie holiday that we are especially excited about; National Meatball Day. Get ready to dig in, here are three ways to celebrate the meatball at Wally’s. 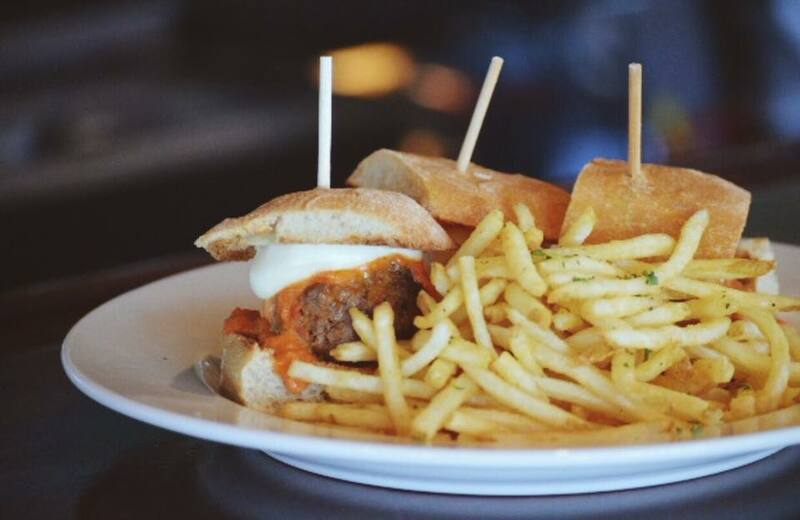 Join us for lunch on National Meatball Day and wrap your hands around our Famous Meatball Grinder. This craveable sandwich is piled high with melted mozzarella and San Marzano red sauce. This dish is also served with a heaping stack of perfectly-seasoned French fries. Come dinnertime, satisfy those meatball cravings with a hefty-helping of our Meatballs + Spinach pasta. This savory specialty is made with veal and pork and is complemented by traditional San Marzano red sauce, parmigiano reggiano cheese. Each one of our pasta dishes at Wally’s is handmade with durum wheat. Our family of Common Ground restaurants have recently debuted a series of kid-friendly menus tailored to the style and cuisine of each of our restaurants. At Wally’s kiddos can enjoy meals such as noodles with marinara sauce, a NY-strip and of course, our kid-version of our Knife and Fork Meatballs. Each kid’s meal is $7, and is served with a drink, fries, veggies, and a treat. Parents, kids eat free from 3pm to 6pm daily with the purchase of an adult entree. Bring the kiddos in and make National Meatball Day a family affair this year. National Meatball Day is happening on Friday, March 9. Remember to tag us in your foodie photos and #NationalMeatballDay posts. Sure, our pub may be a great place to sip cocktails and guzzle beer, but come February 18, it will be a prime spot to enjoy wine, too. Here are a few reasons to join us at the pub for National Drink Wine Day this month. There’s good reason to be happy. Each day we offer up some hard-to-beat specials on pub cocktails, draft beer, first shelf booze and signature refined pub grub noshes. And as always, we will be pouring $7 wine by the glass. Don’t miss out on Happiest Hour, it’s happening every daily from 3pm to 6pm. Our beer and spirits collection is complemented by an impressive lineup of wines. We’re proud to offer a selection of wines from popular wine growing destinations like Napa Valley, Lodi, California, Oregon’s Willamette Valley and beyond. Some of our standouts include Mer Soleil, a chardonnay from Santa Lucia Highlands, LoveBlock, an organically-grown sauvignon blanc from New Zealand’s Awatere Valley, and Boen, a pinot noir from the Russian River Valley in California. Enjoying a white? Pair your refreshing glass of wine with our Happiest Hour Peel ‘N’ Eat Shrimp. Sipping a red? Our Tri Tip Sliders, on special from 3pm to 6pm for just $8, and served on a pretzel bun makes for a nice, hearty pairing. Need a little help selecting the perfect wine? Ask one of our helpful bartenders or server for their favorite wine picks and what dish they would pair it with. National Drink Wine Day is taking place on Sunday, February 18. Be sure to tag us in your foodie photos and #NationalDrinkWineDay posts on Facebook and Instagram. And don’t forget to use the #WallysGastropub tag so we can see your pictures. Arizona’s winter are, well, mild. Lucky for us, there’s no need to deice our cars or pull on parkas. But that doesn’t mean there’s not a chill in the air here in the Valley of the Sun from time to time. When the temperatures dip and when you’re feeling chilly, warm up with these savory dishes. A winning combination comprised of veal and pork, San Marzano red sauce and parmigiano-reggiano, Chef Collins’ Meatball and Spinach is just one of the flavorful handmade pastas at Wally’s Gastropub. Yes, handmade pastas, that’s thanks to Twisted Grove Parlor + Bar, our sister restaurant with locations in Scottsdale and Phoenix. 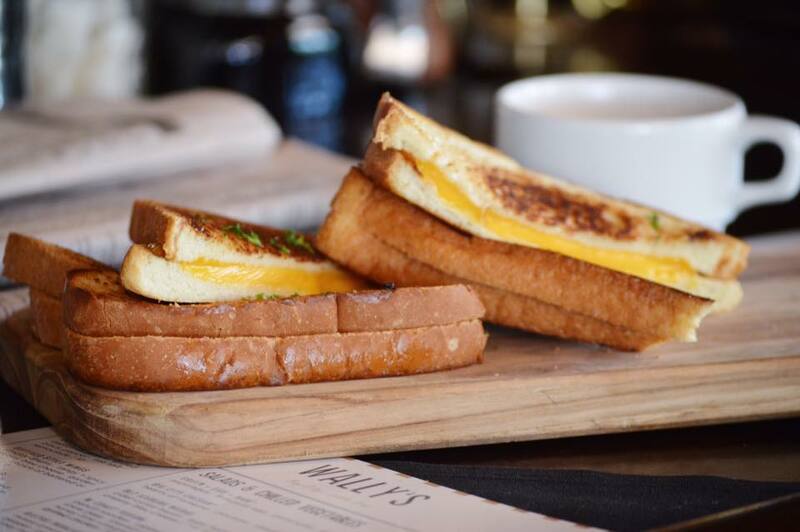 Available during Happiest Hour at Wally’s, happening daily from 3 p.m. to 6 p.m., Chef’s Griddled Cheese and & Tomato Bisque is just like nonna used to make on a cold day. Or better, but don’t tell her we said that. Cooked “low and slow,” this savory sandwich is sure to stick to your ribs. Topher’s Tri Tip is served on a sesame loaf with melty havarti cheese and steak aioli. Soup’s on! Spoon into our featured soup of the day. Enjoy a cup or bowl of Wally’s featured soup, which rotates on a daily basis. We hear our French Onion, and all of its cheesy-goodness, is a must-order. The holidays have arrived and it’s time to start checking off the names on your gift list. Whether you’ve got foodie friends or a family of sweet-tooth’s, we’ve got three gift ideas to make this holiday season a little tastier. Special occasion or just another night out, we’ve got you covered. Share a meal with someone special or a friend this holiday season. Wally’s accepts reservations online or by phone. Hop online or give us a call. You can reach us at (480) 596-7978. Not only is it the holiday season, it’s dessert season. This year, give something sweet. Wally’s is offering up our homemade coconut cream pie in addition to a whole host of whole pies available from our Common Ground Culinary family of restaurants including strawberry rhubarb, chocolate mousse and blackberry from Sweet Provisions, key lime and pumpkin from Grassroots Kitchen & Tap and at Twisted Grove Parlor + Bar, butterscotch pecan and apple varieties. Our Common Ground Culinary team is taking pie orders from December 1 to December 22. All of our pies cost $24 and a 72-hour advanced order is required. In a pinch for a last minute gift? Searching for the perfect stocking stuffer? Our gift cards make gift-giving a breeze. Wally’s gift cards can be securely purchased through our website and range from $25 to $100. Our Common Ground Culinary family of restaurants also offers gift cards which are redeemable at each unique location. Thanksgiving is almost here and we’re cooking up something delicious for you to take home and share with your family. Let us take care of some of the work this holiday season. This month our entire Common Ground Culinary family of restaurants will be offering a variety of made-from-scratch pies. Dessert fanatics can order these holiday sweet treats at the Phoenix locations of Twisted Grove Parlor + Bar, where apple and butterscotch pecan pies will be available to order to-go, and at Grassroots Kitchen & Tap where guests can choose from coconut cream, key lime and pumpkin varieties. Here at Wally’s, pub-goers can take home Chris’ homemade coconut cream pie. And at our Scottsdale locations Common Ground Culinary fans will be able to order and pick up pies from our sister sweets shop Sweet Provisions. Sweet Provisions will feature additional flavors including strawberry rhubarb, blackberry and chocolate mousse. Our Common Ground Culinary team will be taking your pie orders throughout November 1 to November 20 and again for Christmas from December 1 to December 22. All pies cost $24 and a 72-hour advanced order is required. 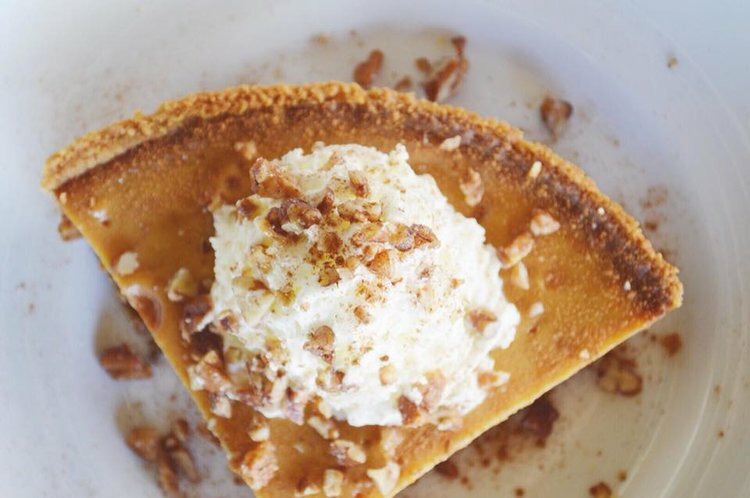 As you come together this holiday season take a moment to share your festive photos with us and tag your Common Ground Culinary pie pics with @wallysgastropub and @sweetprovisonsaz. As the temperatures cool, the culinary scene heats up. Festival season is upon us yet again and we’re especially looking-forward to what may be the biggest spectacle of the season, AZCentral’s Food and Wine Experience. There will be food, wine and spirits plus plenty of local culinary talent, including our owner and chef Chris Collins, and world-renowned food personalities coming together for the multi-day showcase. Here are a few reasons why we think the November event is worth checking out. Over 35 restaurants will be participating in AZFWE this year. And with unlimited samplings you’ll have the opportunity to taste creations from each one. Our advice? Come hungry! The AZCentral Food and Wine Experience is a star-studded event. In 2016 TV host and restaurateur Mario Batali made an appearance and this year Martha Stewart will be showcasing her culinary skills in a special ticketed-experience. With the purchase of a Martha Stewart Experience ticket, guests have access to the VIP Grand Tasting plus they have the opportunity to get a book signed by the lifestyle mogul and get to take home two complimentary bottles of wine. Libations at this year’s event will be plentiful, that is for certain. The Food and Wine Experience will showcase over 200 different craft beers, distinctive spirits and fine wines for guests to enjoy over the course of the multi-day culinary extravaganza. The AZCentral Food and Wine Experience is happening at Salt River Fields at Talking Stick, November 4-5. Admission ranges from $85 to $325. AZCentral Insiders get $15 off their ticket purchase.